Joseph Weiler's The Transformation of Europe is one of the most influential works in the history of European studies. Twenty-five years after its original publication, this new collection of essays pays tribute to Weiler's legacy by discussing some of the most pressing issues in contemporary European Union law, policy and constitutionalism. The book does not intend to be a simple expression of intellectual esteem for Weiler's seminal work; instead, the collection honours it by critically engaging with some of its assumptions and theses. 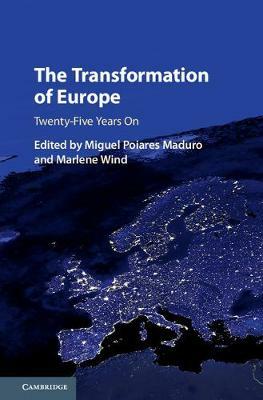 Overall, it shows how a study of 1991 can still be fundamental to the present and future of the EU, including the challenges of Brexit and Eurozone crises.